This gorgeous contemporary property is situated on a quiet cul-de-sac in the Summit of Montreaux. The main flr plan is bright and open with a spacious living room w/gas fireplace & DR w/patio doors that open up onto the oversized deck & private yard. The deluxe kitchen features chocolate maple cabinetry, island w/breakfast bar, Stainless appliance package, tiled back splash & corner walk-in pantry. The private master retreat easily fits a full king size bed, has a walk-in closet & 4 pc en-suite with barn door, deep soaker tub & separate shower. Upstairs also has 2 kids bedrooms, 4-pc bath plus BONUS ROOM (w/closet & door) that could also be a 4th bedroom or formal office. Fully developed basement with large rec-room, lush carpet, bedroom & 4pc bathroom. Beautiful corner lot that backs onto aspen trees providing excellent privacy from neighbors as well as an oversized deck and upgraded fence. 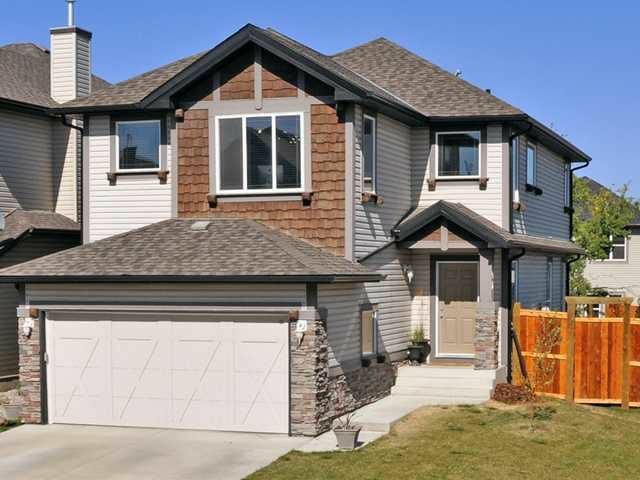 Walking distance to Aspen Landing shopping, schools, transit & LRT. *See Virtual Tour.